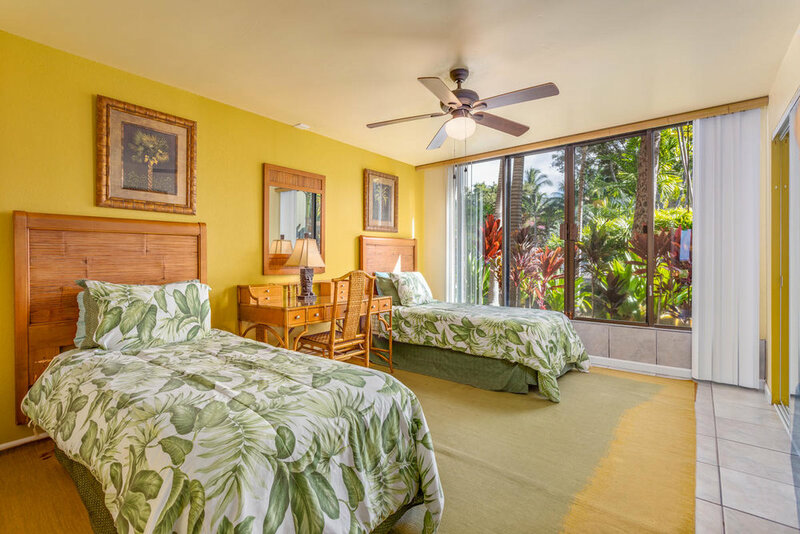 Exceptional Oceanfront 2 bedroom, 2 bath condominium on the ground level "no stairs" within Keauhou Kona Surf & Racquet Club, 2-103 which enjoys unobstructed views of the ocean and coastline. 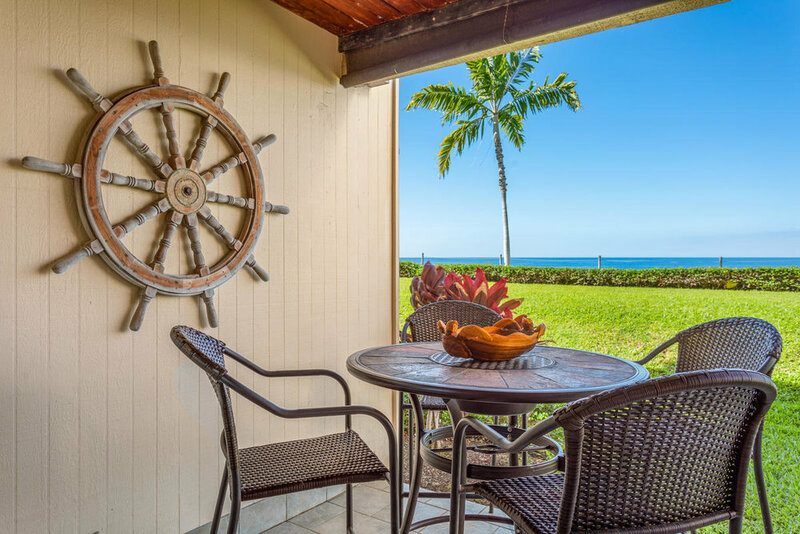 This successful vacation rental is located just steps to the sunset lookout point. 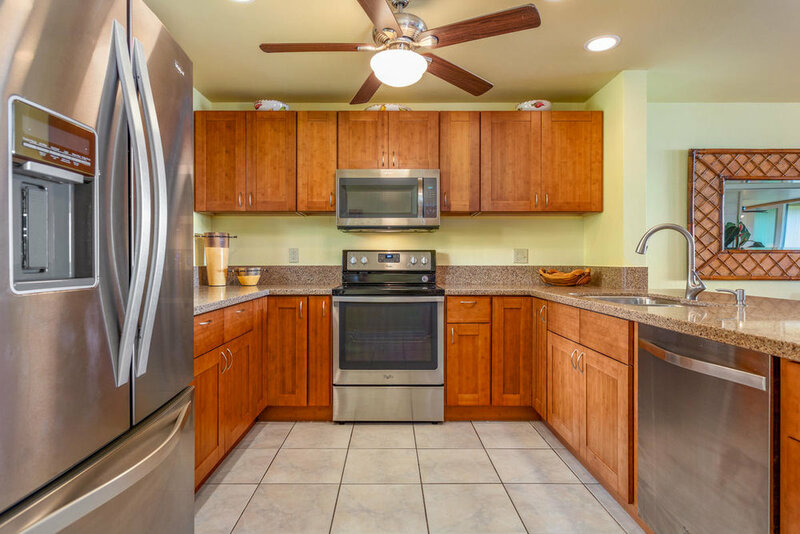 Beautiful and tasteful renovations have been made to the entire kitchen with NEW granite counter tops and cabinets. 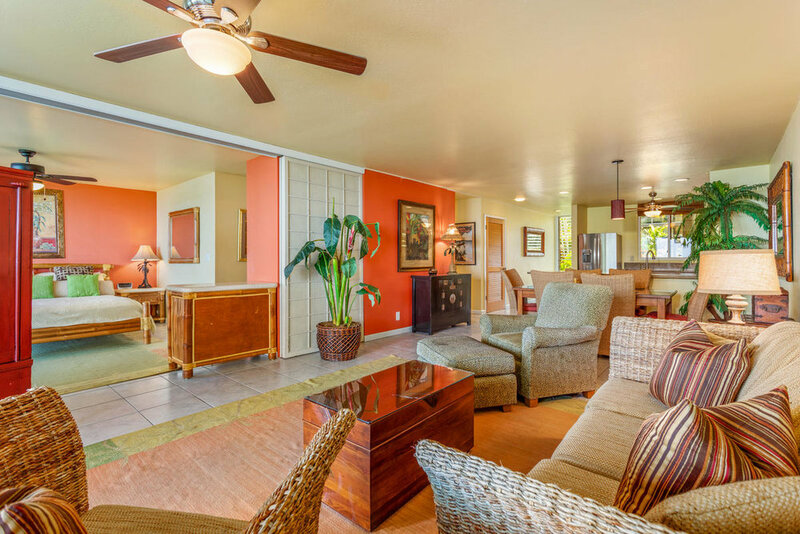 New appliances and sliding doors from the master bedroom and living room out towards the lanai. New screen doors and ceiling fans. 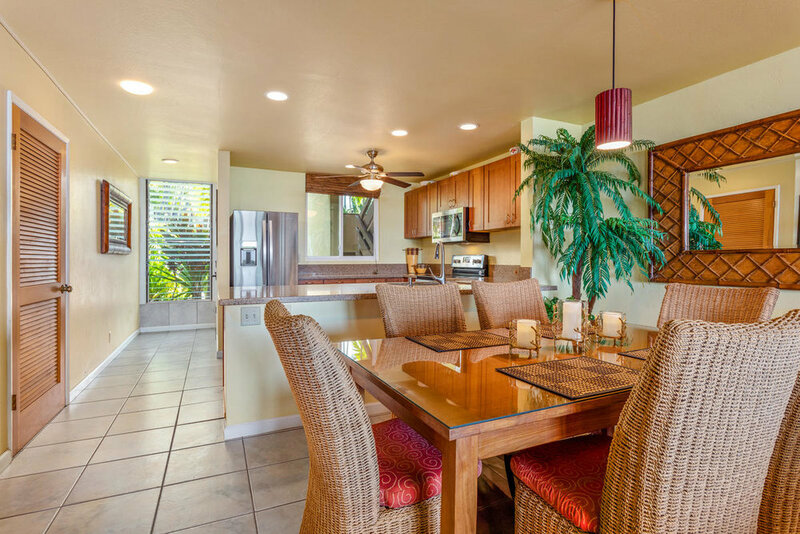 New dining set on lanai. 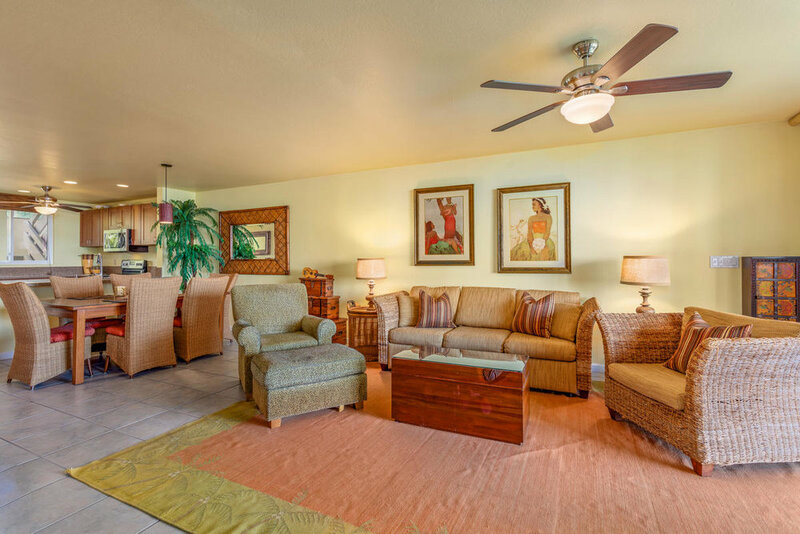 This condo unit comes fully turnkey furnished with snorkel gear too! Items in the owner’s closet and a decorative trunk are excluded. Ready for a buyer looking for a strong vacation rental! 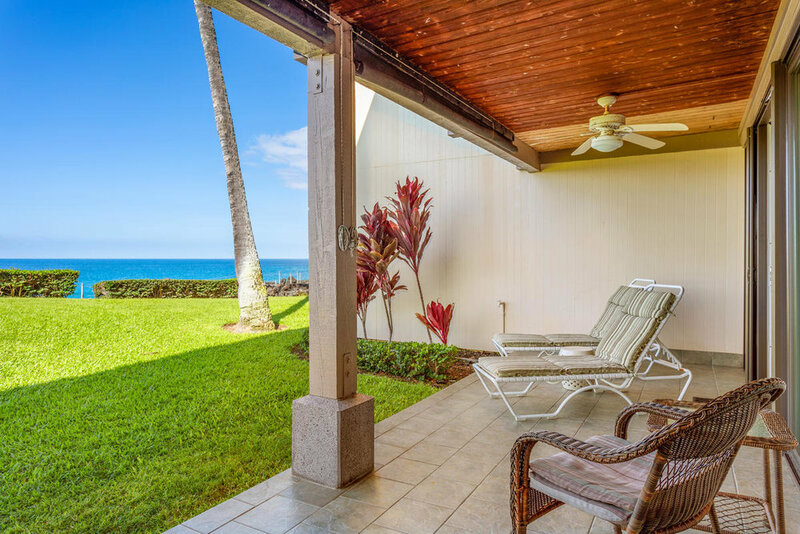 Keauhou Kona Surf & Racquet Club enjoys some great amenities: swimming pool, three tennis courts, volleyball court, BBQ area, gated entry and an onsite manager. 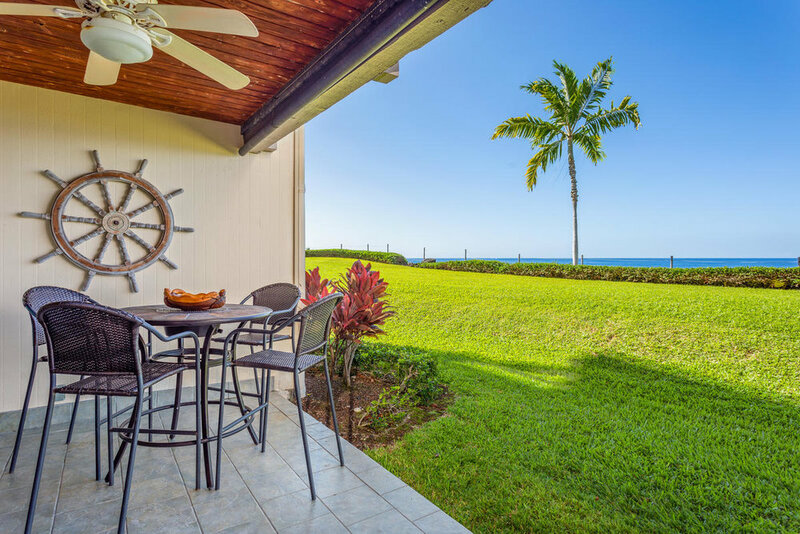 Located near the popular swimming & snorkeling beach called, Kahalu’u Beach Park and within a short walking mile of the Keauhou Shopping Center with dining, shopping, movie theater, etc.